It wasn’t until about 5 years ago that I encountered this idea of having SMART goals. Since then, I’ve assumed every single person in the world knows what SMART goals are and implement them with expert precision. That person is not good at creating SMART goals. Or they don’t really care about losing weight. While it’s important to hold to the principles of simplicity, intentionality, fun, sustainability, and intuition when creating our simple health plan, it is even more important to undergird our efforts by creating SMART goals. When our goals have all five elements of a SMART goal, we can build out our plans much more easily. Our goals will have teeth and easy ways to measure how well we’re doing. Plus, we can build habits and activities into our calendars to support the goals. In addition, SMART goals force us to think more deeply and strategically through our goals so that our mind starts plotting how we can accomplish them. Doesn’t always work, but it is much more effective and beats the heck out of using ‘lose weight’ as a starting point for our plan. 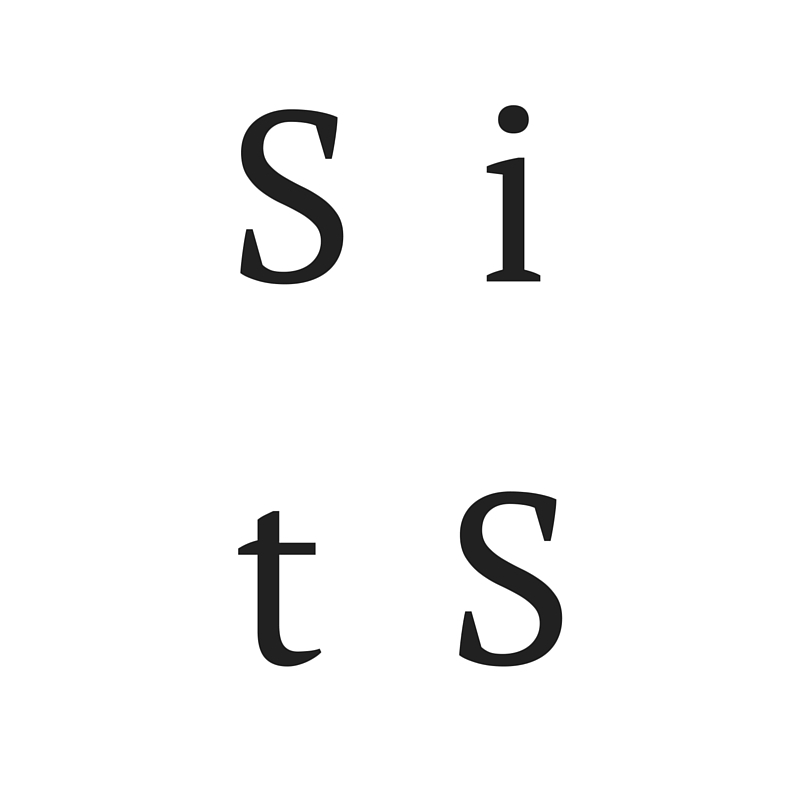 So, let’s apply the SMART acrostic to my current personal weight-loss and health goal of. Reach 180 lbs by 12/31/16 by losing 26.7 lbs through a 95% Whole 30 eating plan, 3 cardio workouts weekly (supplemented by 10k steps a day) and 3 strength training sessions a week. Yes… on a number of levels. It has specific weights, dates, and strategies. It might be overly specific. Better than vague, though. Yes. I weighed 216.7 at the beginning of 216. I’ve dropped about 6 lbs since then, keeping me on track for roughly 4 lbs a month (my monthly sprint goals – yes I’m a goal geek). Key point: if you have a longer term goal like mine, you will fail unless you break it down into quarterly chunks at least, monthly or even weekly, at best. Yes. ‘Lose’ is an action verb. But more importantly, the goal has a plan embedded with in it. It is very action oriented. It does not leave my weight-loss goals to chance. Further, the plan is clear enough that if I follow it and am not seeing results, I can change midstream and try again. Yes. Very much so. I’ve not seen 180 since undergrad or grad school, but I do know that it is realistic. Some folks use ‘relevant’ as their ‘R’. And ‘attainable’ as their ‘A’ – to make sure we’re not shooting for the stars when the moon is about as far as our little ships will take us. Relevance is important. My 180 lb goal is relevant to me because I want to be healthy for my kids long into the future. Dropping unneeded weight – and making fitness gains on the way there – gives me the best chance of being energetic as my little ones grow. Why yes. 12/31/16 is pretty clear. And I do have this broken down into quarterly sprint goals which would put me at 205 by 3/31/16. I don’t want to cram and try to lose 25 lbs during Thanksgiving and Christmas breaks. But Don’t Goals Complicate Things? Since I’m trying to make everything I write about and recommend as simple as possible, I don’t want you to feel overwhelmed. Isn’t a 5-part goal setting process overly complicated? It might take you a little time on the front end, but the clarity the process offers you will simplify your efforts immensely. The built in accountability of SMART goals is powerful. If you see that you’re not heading toward your goal, then all you have to do is review the action you’re taking compared to the elements of the goal you set. Are you taking the action? Are you following the plan that YOU set for yourself? Your goal will keep you accountable to yourself. If you share it with a trusted friend who is trying to achieve similar things, then you can increase the accountability even more. Pick one specific area around your health. 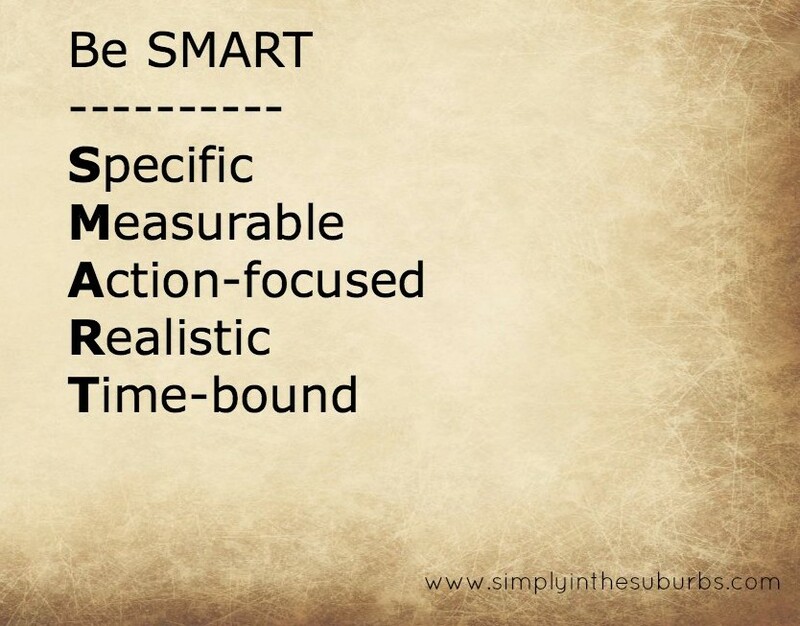 Create a SMART goal for that area. 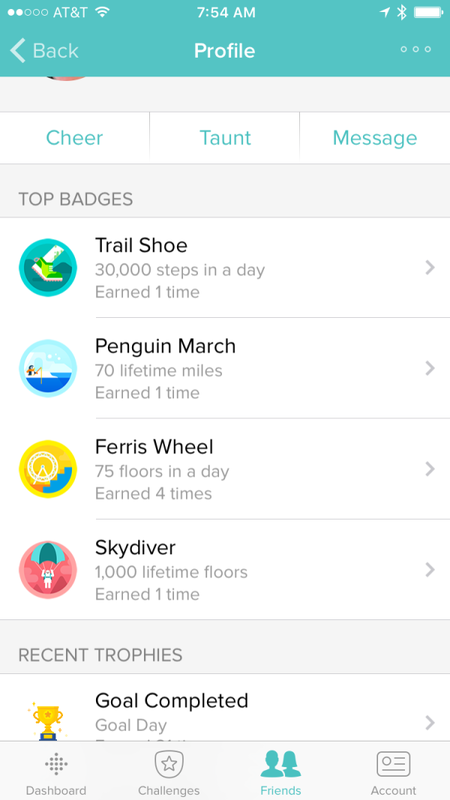 If you don’t want to focus on a certain weight or some other measurement, focus on a certain activity (like my ‘Walk for at least 10,000 steps everyday’ practice). Some people find it more helpful to set an activity/habit goal because you can much more easily control if you workout 3 times a week more than you can control exactly how your body will drop weight. I do recommend shooting for something specific, though. If you don’t shoot for specific, you’ll hit the meaningless general every single time and have the results to prove it.